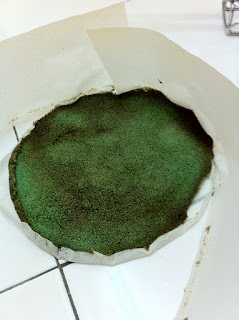 I'm such a sucker in baking and dont have any mojo in this area. I did twice on pavlova and like I said, Hubby is helping on the third pavlova..and.......we screwed, again!! HAHAHA! The meringue didn't turns out nicely as it should be. Instead it turns fluffy and getting shrink after it's cold. 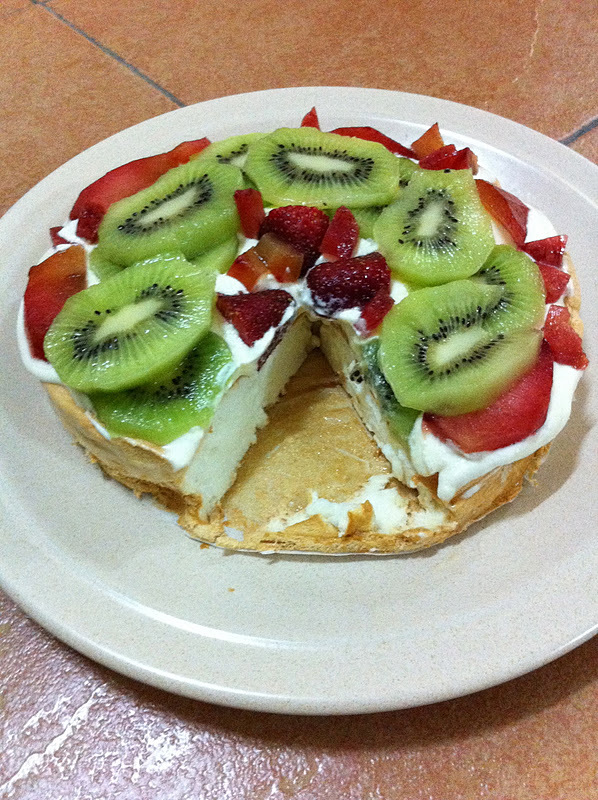 I will enroll Pavlova course with Ewin next time. Orang lain buat sekali jadi je. I blame the mixer and my stupidity in chemistry. I read somewhere that you have to understand how the ingredients works, like you have to keep the eggs at room temperature but I don't simply get why. Hubby said it nothing to do with any chemistry. It must be the sugar cause we manage to get the crunchy crust at the bottom of the cake which are the cake smudges actually which it's so thin and so sweet. 3) or the oven is too small, thus need low temperature than it should be. Kami bukan pemanis which that's what the desert should be. I would blame the sugar though. Takpelah. Jadi macam tu pun dah puas hati. Lain kali, kalau nk makan, kt g Alexis je la yer B. Maleh da nak buat. Hahaha. 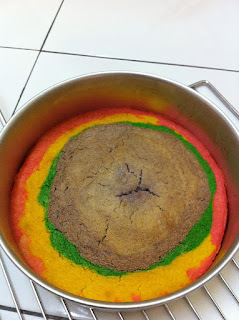 I was reading the past few days and stumble upon Rainbow cake. So cute that I must try and I did but I want it to be like this but when googling the image of the cake, I found plenty of ways to make it. Look! 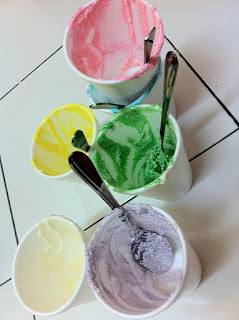 You can stack em or even mixed them in one bowl! It tasted like a cookies and wasn't so bad tough. Tak caye, meh sini rase. Ade lagi. Rangup tau. 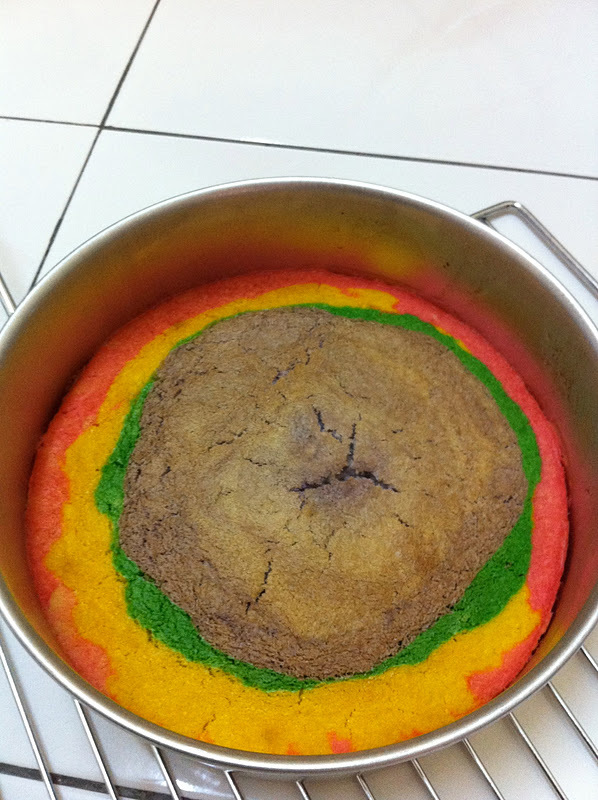 Maybe sebab it's too thin and I bake for 190 degree. That's what the recipe told me to do so! Ah..well, I still have another 5, so I add them together in one pan and it turns out PERRRRFECTTTT!! 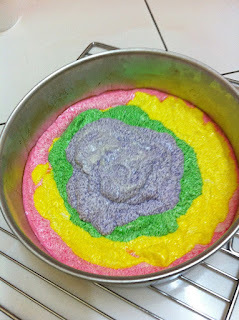 Baking is fun when we are playing with colors. Feels like painting in canvas but you can eat it. Berangan buat art kejap tadi bile tgk polystyrene cup filled with colors. Hehe. 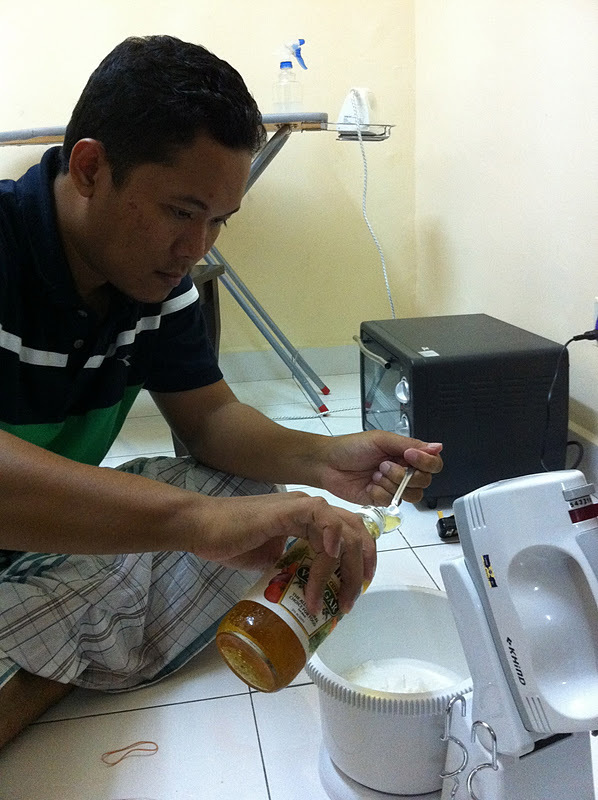 aku nk bakar asing ler tp mengenangkan kne buat bakar nam kali kluar masuk oven tu yg aku x jadi nk stack tu ha..
kne super rajin nk membakar cenggitu. nk bakar kek ni pon da kijre rajin dah. haha.